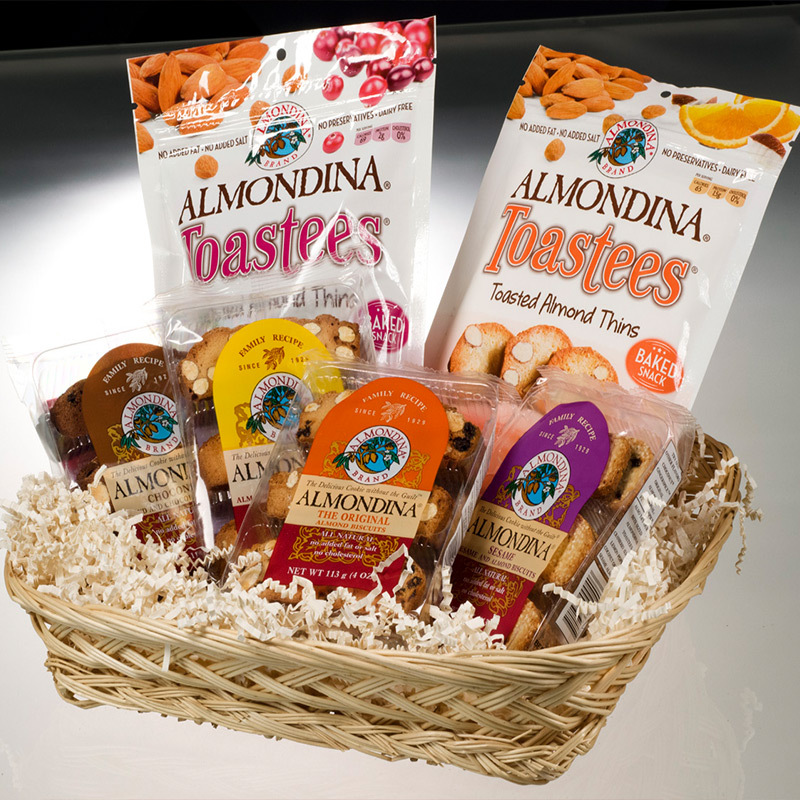 This gift basket shares the five most popular Almondina flavors. 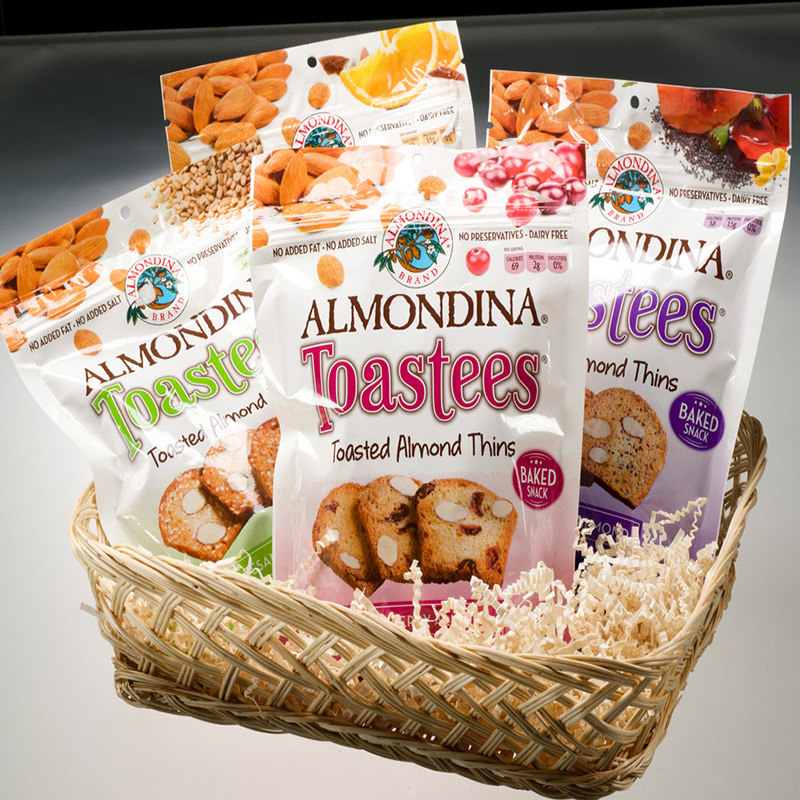 We include one bag each of The Original – a crunchy favorite with quality almonds & plump raisins, Choconut – a rich tasting chocolate cookie, Sesame – for a flavor that magically compliments the almonds and raisins, Gingerspice – with zesty chunks of flavorful real ginger and AlmonDuo® – an irresistible combination of pistachios and almonds. 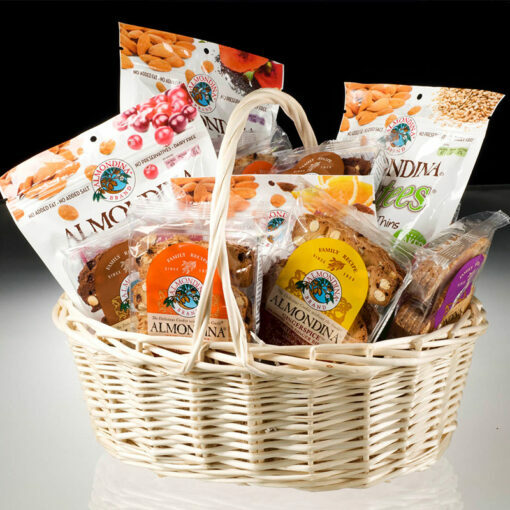 These cookies are beautifully packaged in a gift box with a ribbon. Your gift recipients will enjoy tasting each flavor and most certainly pick their own favorite! 8 packs of cookies and 4 bags of Toastees in a basket with clear wrap and bow.